nop4you.com is a Polish IT company and one of the oldest and most experienced nopCommerce solution partner. Trusted by over 9000+ customers, proudly developed over 100+ nopCommerce plugins for improving your online store. Team of certified nopCommerce developers provide high quality services and support for customers from around the world. If you want to improve your nopCommerce store, it’s the best place for you. Increase your brand trust. Integrate your store with Google Customer Reviews and attract customers to buy products in your store. Safety and trust is the most important thing in the online stores, remember! Wear is a theme targeted for apparel stores. Featuring a full-width banner, customizable products sliders, subdued colors it allows you to perfectly present products that will delight your customers. Print labels for UPS easily. Save your time and generate packing slips to shipment just with one click. Many possibilities of services. Packing slip generator for UPS. Market theme is a multipurpose, highly functional, modern nopCommerce Theme for the biggest online stores. 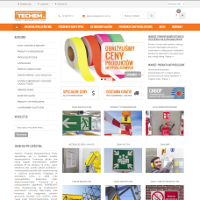 If you want to fully present the benefits of your products, this is the perfect theme for you. Integrate your nopCommerce with HiPay payments plugin. The HiPay module allows you to handle online transactions without having to enter into a contract with a settlement agent and has a fraud protection system. Simple, fresh and modern Hero Theme. Multi purpose theme for the most demanding users. Highly functional and universal theme for nopCommerce store owners. It's a perfect choice for any kind of online store, independently from industry. The best alternative for traditional e-mails, sms - nopCommerce Web Push Notifications. Give your customers possibility to stay updated with the newest promotions and offers! QuickProducts plugin gives you possibility to show products collections as a list in particular widget zones. You are not limited anymore, you can create beautiful product list template and show it in predefined or created, custom widget zones. Generate Packing Slip to Fedex easily. Save your time and generate packing slips to shipment just with one click. Many possibilities of services. Brand new, premium responsive multipurpose nopCommerce theme, which has a perfect opportunity to change your store in just a seconds. 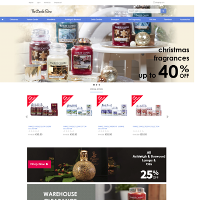 This theme can be implemented in each kind of online store, but especially for the stores with electronic. Realex payment method for nopCommerce. Give your customers a choice and implement Realex payments in your store. Don't limit them and extend your payments methods! Wtyczka do generowania listów przewozowych dla kurierów DHL w nopCommerce. Dzięki tej wtyczce, w swoim sklepie nopCommerce będziesz w stanie wygenerować listy przewozowe dla swojego kuriera jednym kliknięciem. One of the newest theme in our nopCommerce theme collection. nopCommerce theme designed especially for marketplaces and online stores selling a huge number of goods. The first Paya integration, new payment solution for nopCommerce. Give your customers a choice and implement Paya payments in your store. A nopCommerce widget to filter the products dynamically with desired criteria and without the whole page reloading. Pro version allow to change URL, and share results with others. Free version also enabled to filter with OR and AND conditions. eService (EVO) is a leader in accepting non-cash payments. A wide range of solutions and the use of the most advanced technology enables extremely clear cooperation with the customer. Dijou Theme is a responsive theme, designed for online store with jewelry, watches. Elegant, exsclusive colors. Multi platform mobile app for nopCommerce. Designed for iOS and Android. Native app tailored for your e-commerce. No technical experience needed to run fully functional mobile app. Pet Theme is a perfect nopCommerce template for stores with animals food, animals tools and accessories. Are you looking for responsive widget for Instagram? Here it is! Free, customizable Instagram widget called lightwidget adapted to nopCommerce. Garden Theme is a responsive theme, designed for online store with plants, gardening tools, but it can be used in any industry. Content of your store require age confirmation? It's no more a problem! You may define minimal age and publish it. Since this moment all your vistors will need to confirm age. Plugin using Session Storage method to keep that information. Using nopCommerce default clean theme may be boring. Stand out of the competition and create your own, customized, personlized theme. Improve your daily work and use this time saver! Theme Editor Online! Arsenios is our newest, the most powerful and the most functional theme. 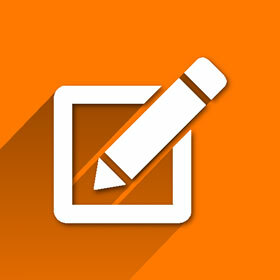 Its fresh and elegant design is enhanced by functional and useful must have nop4you plugins. No need for multiple programs anymore! ToDo List is coming to your Admin Panel! With this simple nopCommerce plugin you are able to create projects, tasks, assign them to staff and receive notifications! Manage, prioritize and save your time from now! Amazon Simple Storage Service (Amazon S3) for nopCommerce. It's simple to move large volumes of image data into or out of Amazon S3 with Amazon's cloud data migration options. Simplicity, minimalism and usefull features. Comes with 4 plugins, which will enhance your store. Modern responsive design creates perfect shopping experience. Start selling with our highly functional theme today! This plugin that facilitates the administrator to create the different ribbons and can apply the ribbons to the products in store which helps in highlighting the new products, offer products, special products etc. to increase the product sales. NopCommerce direct payment plugin for integration with Klarna. When customers only enter their addresses at checkout, you do amazing things for your conversion Works in Germany, Sweden, Denmark, Finland, Norway, Netherlands and Austria. Use Store Locator for nopCommerce to show your stores on a map. Give customers possibility to find your store without searching it. Each customer has freedom and convenience of searching unlimited store locations through points added to Google Maps. Wtyczka integrująca Twój sklep nopCommerce z systemem płatności Przelewy24. Rozszerzenie umożliwia bardzo proste i intuicyjne połączenie sklepu z Przelewami24. You are interested in Big Data and Real Time Marketing? You want to have it in your store? You have store based on nopCommerce and you don't how to migrate to GrandNode? Here comes GrandNode Import plugin! Send emails which your customers want receive. Show them products which they want view. Help them with the buying process. For example send emails to customers who have abandoned shopping carts. Get all our online, invoicing and mobile payment tools, plus the extra advantage of allowing your customers to check out directly on your site. Free discount rule for your nopCommerce store. Assigne discount or create coupon code to all of your customers who are older than X month. Very good way to award your loyal customers. This plugin allows you to add HTML code in one of the 95 predefined widget zones or you may use it in your custom Widget Zone. Marketplace4you give possibility to place product by your customers in your store. You may use it to create notice board or base of announcements. Enova is modern, integrated, functional system for business managment and accounting which fully satisfy the needs of the most demanding customers. Amazon external authentication provider for nopCommerce. Twitter external authentication provider for nopCommerce. Google external authentication provider for nopCommerce. The discount newsletter plugin displays a popup which invites your shop's visitors to subscribe to your newsletter offering an coupon code. Made with Materialize CSS framework developed by Google. With this theme you can seel not only electronic goods, but also apparel, cosmetics, and life-style products. Highly responsible, with five color sheme, it offers your customers exceptional shopping experience of buying your products. 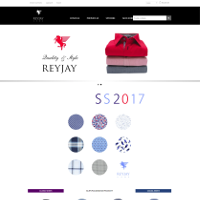 Beautiful responsive design, fresh and modern style, pre-designed color palette - everything for pleasant shopping experience. Plugin allow to customize your menu on the page. A direct payment plugin allowing the web store to use the Pay with Amazon service. Customers having an Amazon account can perfom a checkout with their information filled directly by Amazon. A simple nopCommerce widget plugin allowing customers to navigate through the web store categories easier. A widget for viewing 3D product models. Introducing a new dimension into nopCommerce. This is a nopCommerce extension integration of MongoDB. It's benefits are high performance, scalable, easy to use and faster nopCommerce. Modern and elegant theme suitable for bookstore. NopCommerce direct payment plugin for integration with Klarna payments system (klarna.com), supporting direct payment, capture of authorized orders, refund and void. Works in Germany, Sweden, Denmark, Finland, Norway, Netherlands and Austria. Quick and easy plugin to update prices in your shop. Website Payments Pro Hosted Solutions offers merchants a way to securely accept credit and debit card or PayPal payments without capturing or storing card information on their website. This plugin adds an elegant and responsive image slider on your homepage, each categories or manufacturers. nopCommerce and eBAY integration plugin. Nice and easy to use reports for: categories, customers, products and manufacturers. NopCommerce widget making the filtering on products easier and faster by basing it on ajax requests. QuickTabs for nopCommerce allows to show extra information in tabs for specific product pages. 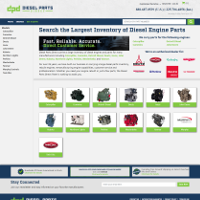 Plugin QuickCART allows to add products to the cart much faster and without leaving the current page. RavenDB is an open source NoSQL database for .NET. 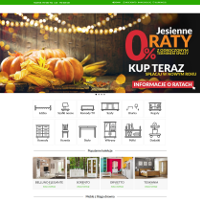 Allegro is the largest an online auction website in Poland. You can create your own invoice template in HTML which is published on order details in PDF. Modern and elegant theme suitable for jewelry, fashion, cosmetic, electronic, computer. This payment module allows you to integrate with PayU from country Hungary. Build your own contact form with this plugin. The plugin Web API for nopCommerce gives the access to the data of the database. It is built with ASP.NET Web API and the OData provider technologies. The Plugin is real "Joker" among nopCommerce shipping methods it's very flexible. It allows to define every desired shipping rate computation and let the customer choose the one he prefers. Plugin shows a "quick view" button on the product. A nopCommerce redirect payment plugin for integration with VR pay virtuell (vr-epay.info) with different currencies. A nopCommerce direct payment plugin for integration with Sage Payment Solutions (sagepayments.net) supporting different transaction modes and e-mail notifications in case of usuccessful transactions. Perfect way of customer support / ticket system. Efficient issue tracking. Multiple Departments. This payment module allows you to integrate with PayU from country Romania. Webservice for Customer - nopCommerce platform. nopCommerce and Amazon integration plugin. This template is dedicated for flowers or garden shop. It's fresh, light and clear. Plugin shows a "quick view" button on product picture. It opens the lightbox window built on bootstrap. Allows web store customers to send comments/message direct from order. Newsletter widget displays pop up box with customizable content. Designed a new webservice nopCommerce platform. Product Attachments Widget allows to publish any kind of files (manuals, zip, media or audio). This payment module allows you to integrate with PayU from country Czech Republic. Promote your website on Facebook and give discount for your fans. An additional option for the product, "Request for information". List of products featured, displayed as a bar automatically scrolls. Plugins development nop4you is the leading plugins vendor with the dedicated team of web developers who tactically develop custom plugins entirely based on your business requirements. Themes creationWe develop fully responsive, functional and exclusive themes so you can easily reach your goals. nopCommerce themes creation and customization offered at nop4you.com is designed to assemble both function and looks. From developing customized themes, we can also modify your existing theme to breathe new life into existing design. Mobile apps developmentAs one of the few partners, we offer a fully integrated mobile application based on Xamarin. Our apps are highly functional, fully integrated and multi platform. 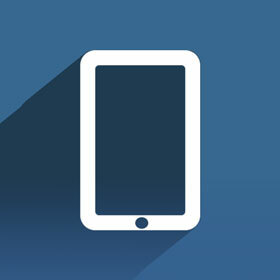 Just with one source code you are able to create app for iOS and Android.